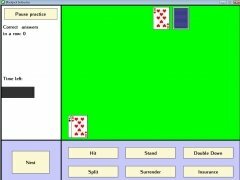 Blackjack is a very popular card game in casinos, and the main idea is to get as near as possible to 21 without going burst with two or more cards. 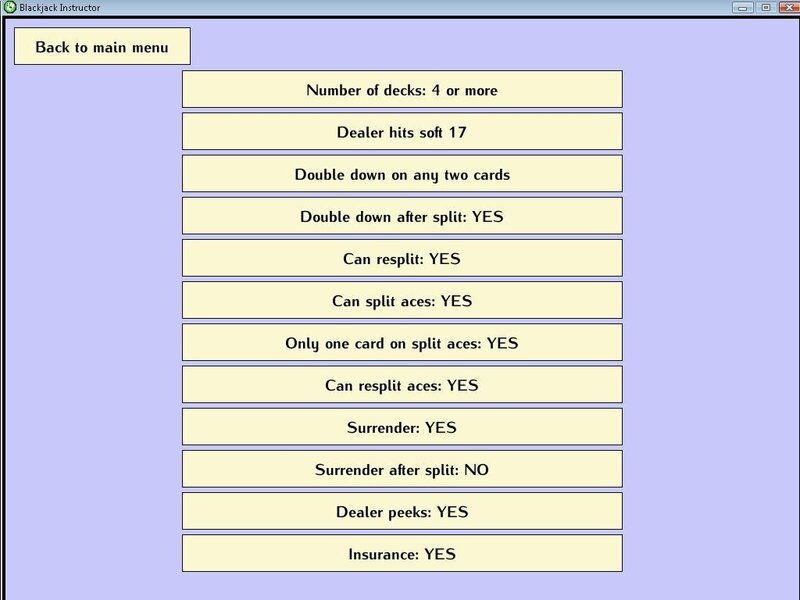 At a first glance it look extremely simple, but to be able to play properly it is of vital importance to learn certain rules, something that can be done with Blackjack Instructor. 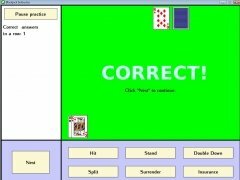 The main idea behind Blackjack Instructor is to teach the user to identify the different ways in which he has to react when handed cards when playing Blackjack, thus being able to decide to hit or stay depending on the sum of the cards. 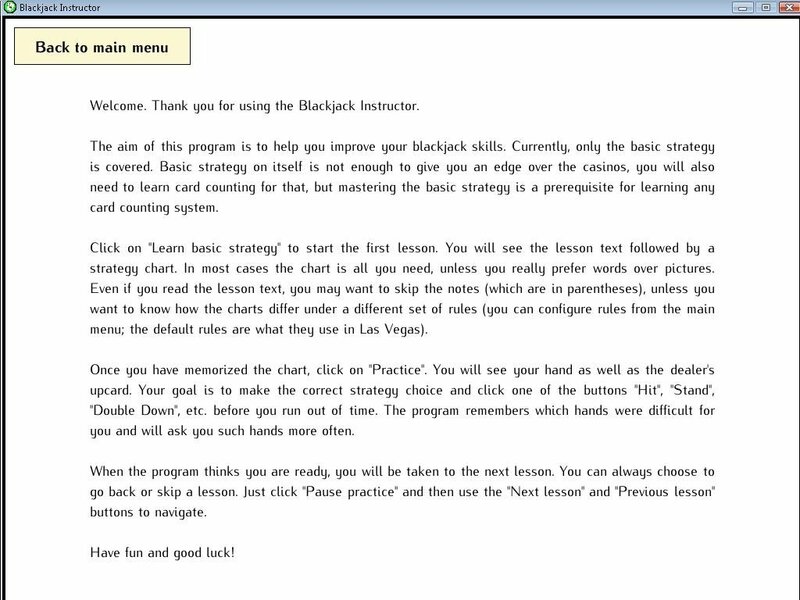 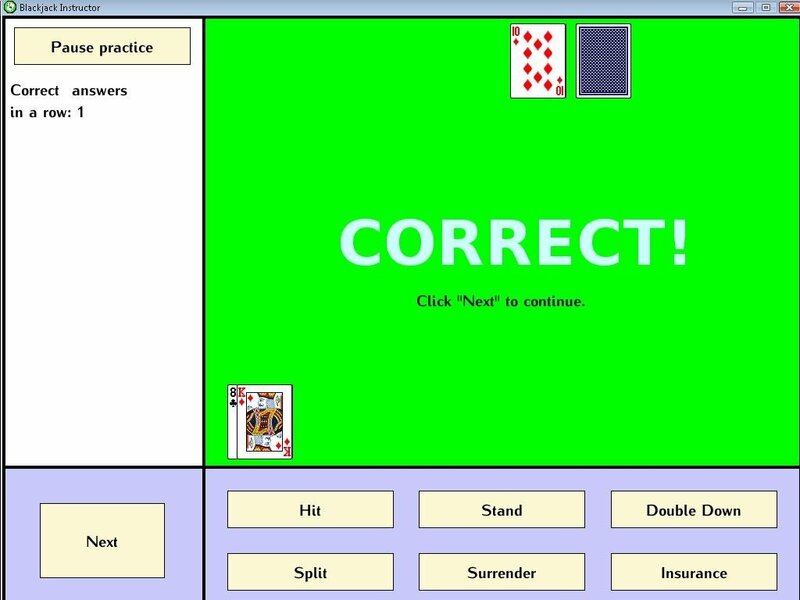 The graphic interface of Blackjack Instructor isn't marvellous, but it accomplishes its purpose without any problem. 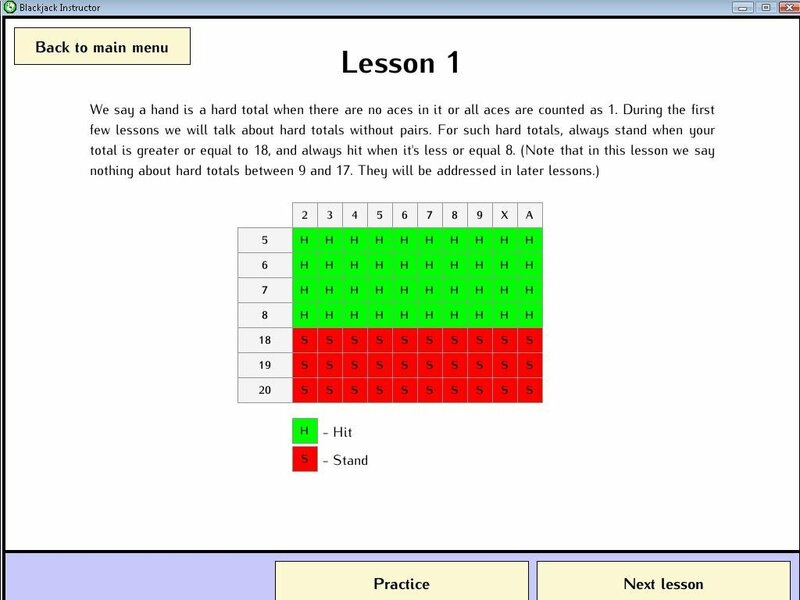 By means of a series of lessons, the user will be able to learn to identify how to react with each of the lessons as they are separated into a theory section and a practice section. 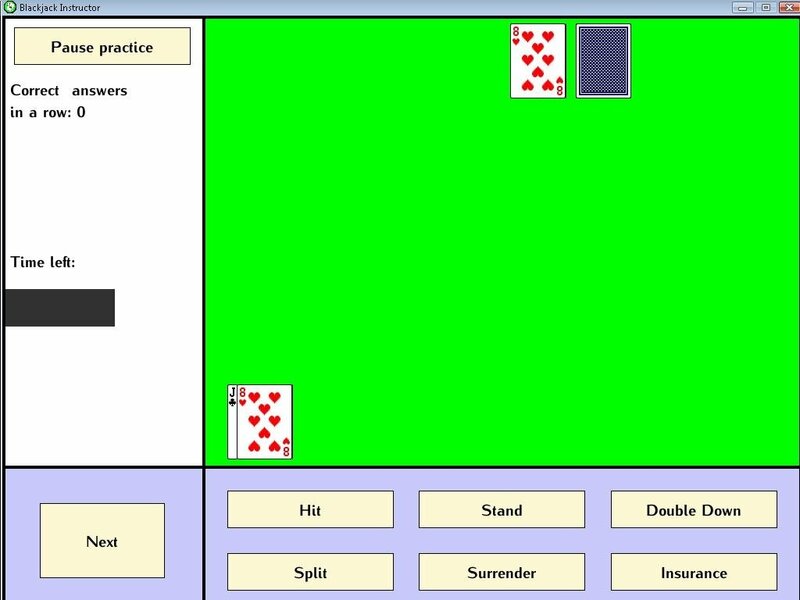 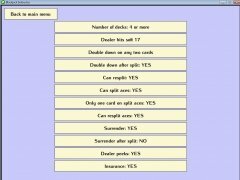 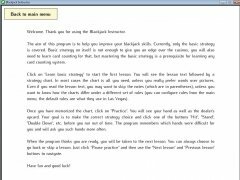 If you are interested in playing Blackjack, one of the best options you have available to learn how to take as few risks as possible is to download Blackjack Instructor.